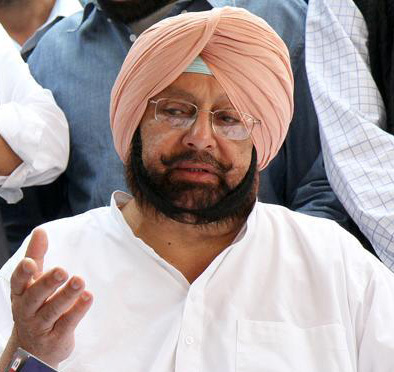 Amritsar: Expressing concern over the drought-like situation prevailing in Punjab in view of "poor" monsoon, Congress Deputy Leader in Lok Sabha and Amritsar MP Amarinder Singh on Monday asked the state government to draw up a contingency plan to save agriculture. Singh, in a statement here, suggested that the government should order timely assessment of losses to farmers so that they can be adequately compensated. He said it was high time that the state introduced crop insurance scheme, which has been pending for a long time and has long been promised by the Akalis. He said large tracts of land, particularly the border belts, was facing the worst drought conditions and it was the responsibility of the state government to draw up a plan to provide relief. The former Chief Minister said the state dispensation, with a "friendly government" at the Centre, should have no problem in getting a proper contingency plan approved and funded on time. "Earlier they (the Akalis) had the standard excuse of accusing the Centre of non-cooperation but now with NDA in power there, of which they are a constituent party, they must not have any problem," he said.